Sweeping trailing bouquets, plenty of foliage and organic and wild are trends you will see this year. Receptions will make use of unusual containers as centrepieces for elevated designs. The desire for the traditional ‘teardrop’ shaped bouquet seems to be wavering, and brides are embracing more of a natural look,with less structure. Brides are also frequently requesting a ‘from the garden’ style, requiring local and seasonal flowers and foliage to create whimsically romantic designs that you can’t help but love. ‘Something old, something borrowed, something blue’ -every item a bride chooses for her wedding has meaning, and often contains sentimental value. We have put together a list of 10 of this year’s predicted wedding flower favourites, so that you can discover their meaning behind their beauty. Every bride wants to shine on her wedding day, which is why the Ranunculus is the perfect choice, as it symbolises attractiveness and radiant charm. Signifying a declaration of love, the tulip, delicate yet never overlooked, makes you wonder if it was created just for this moment. Incredibly hypnotic with its gorgeous fluffy petals,the peony represents happiness, prosperity and a happy marriage. Is there a more ideal flower for your bouquet? Here is your ‘something old’, named after Proteus, the Greek god Poseidon’s son, it dates back over 300 million years and signifies courage and diversity. A favourite for interior design as well as weddings, this full-bodied flower with delicate petals represents perseverance and heartfelt emotion. We couldn’t miss out the much-loved Rose, which exudes and expresses love every time it is received. Each colour has a different meaning, with a white rose representing innocence and purity, a yellow rose signifying care and friendship, and pink, gratitude, emotion and joy. Despite its graceful appearance, the Snap dragan has two very different meanings, it is felt that the first – deception – is due to the way in which the flower can resemble a dragon’s mouth. squeezed. 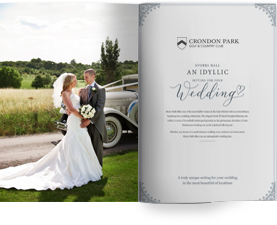 The second meaning – gracious lady – is far more appropriate for your special day. Daisies always make us feel childlike, and evoke memories of sitting in fields making daisy chains. Just like the memories it conjures up, the daisy suggests innocence, purity and loyal love. Just like the daisy the sweetly fragrant freesia also symbolises innocence,though it also signifies thoughtfulness. The orchid is a flower that has been consistently popular with brides over the years. It can add a touch of drama through its elegant strength and charismatic splendour. Representing love and beauty, it is no wonder why our love affair with the orchid knows no end. 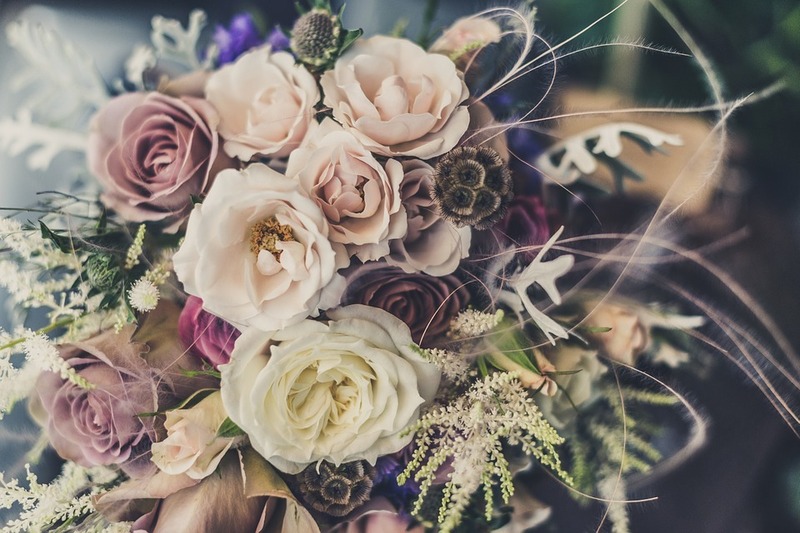 What flowers have you chosen for your bouquet?